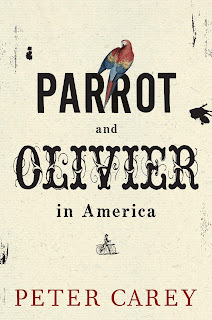 Anyway, Parrot & Olivier... came out ages ago in Australia (October or November last year, if memory serves). And while that might not sound that long ago in the grand scheme of things, it makes it slightly harder to review than The Slap, which I finished reading a couple of hours before I wrote that review. To begin with the basics: the titular characters are, respectively, a middle-aged servant/general lackey and an aristocratic young Frenchmen. Set during the period of the French Revolution, Olivier is sent by his family to the US to avoid the grisly fate of aristocrats during revolutionary times. They send the family servant, Parrot (who is English, by the way) to accompany him. Once in America, the pair encounter all that the New World has to offer. There's a love triangle, of sorts, and a whole cast of amusing characters. This is definitely Carey in picaresque mode, with a significant component of Alexis de Tocqueville thrown in for fun. 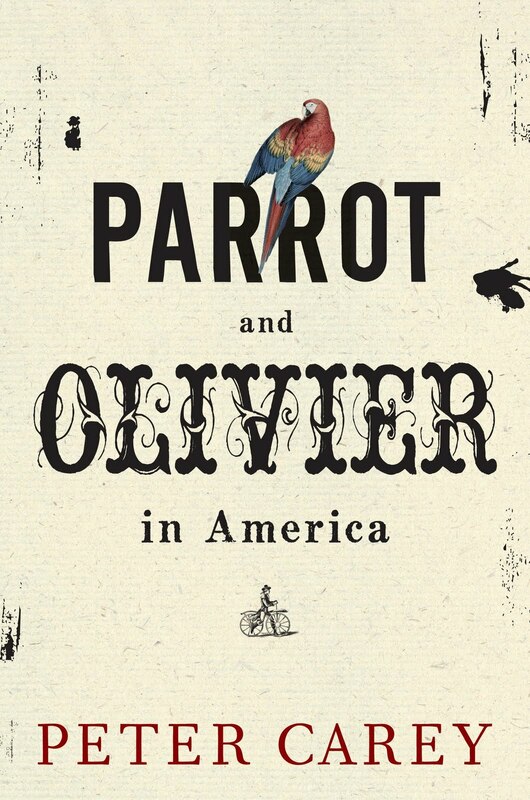 After the somewhat disappointing His Illegal Self, Parrot & Olivier... is a return to form for Carey. Like with several others of his best (in my opinion) latter-day books - Theft, True History of the Kelly Gang - Carey is at his best with larger-than-life characters and subversions of literary genres (although I thought his Frankenstein-meets-Ern-Malley book, My Life as a Fake, slightly underwhelming for its wonderful premise - but perhaps a re-reading is in order). And it matters less with Carey anyway. I'm sure he'd be chuffed to win again, and I sure wouldn't be upset or anything, but this book is going to sell well enough either way, and his reputation is assured. In recent years, while I've not liked the winners of the Booker all that much, it's been good to get to know some new (to me) authors via long/short lists. Speaking of which: next will be either David Mitchell's The Thousand Autumns of Jacob de Zoet or Paul Murray's Skippy Dies, depending on when I finish the latter. * Not that numbers always tell the whole story: I have, for instance, read 60% of Stephenie Meyer's published novels; considerably more than some authors whom I actually don't hate.